The 30-year-old has been out of action since 10th November when he was charged by Samu Kerevi during the autumn series clash against Australia. 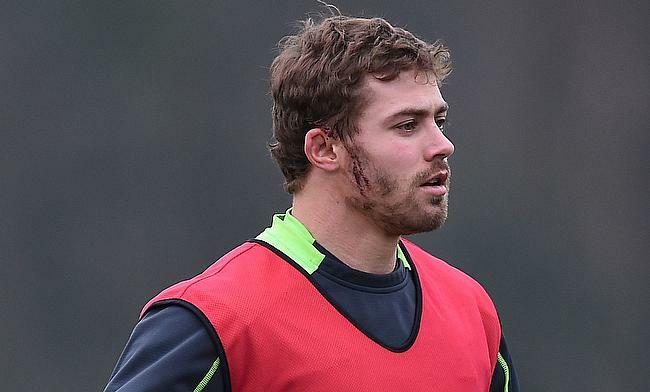 Even though Halfpenny was due to return early, he went on to consult a specialist after complaining of headaches and will now join Rhys Patchell, who has recovered from a hamstring injury to train with Wales on Wednesday. Pivac confirmed that Halfpenny was declared fit following a Scarlets practice game and said could also be slotted in the Pro14 game against Benetton Treviso this weekend if Warren Gatland and Wales team management feel he needs to have more game time before being included for Six Nations clash against England. "It's great to see him running around with a smile on his face," said Scarlets head coach Wayne Pivac. "He did everything, full contact, full tackling, we had a mini-game scenario with no hiding places and he was taking high balls, getting clattered and did everything he needed to do. In the absence of Halfpenny, Dan Biggar was slotted at fly-half with Gareth Anscombe providing impact from the bench. "Both trained with us yesterday (Monday) and did everything with contact, both passed with flying colours," added Pivac. "They'll return to Warren and his Wales group, and they'll make a call as to what they want to do from there. "We'll get a message as to who if any are released after Wales training Wednesday. "Patch has also been out for a number of weeks and it was good to see both of them flying at everything, both can't wait to get on the field."